Ranking Blazers Jerseys By Success – What Should Portland Wear Down The Stretch? You are at:Home»Portland Trail Blazers»Ranking Blazers Jerseys By Success – What Should Portland Wear Down The Stretch? 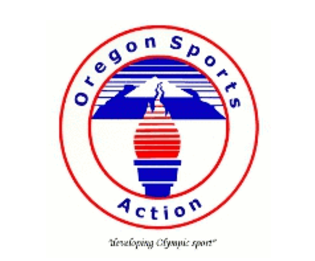 The Portland Trail Blazers are on a roll. In their last seven outings, they’ve won six and have positioned themselves to compete for home-court advantage in the playoffs. With the 2017-18 home stretch officially upon us, we must ask the tough questions. Can the Blazers earn a No. 3 seed? Will Portland come back to Earth during the season’s final month and a half? Most importantly: WHAT JERSEYS SHOULD THE BLAZERS WEAR WHEN IT COUNTS THE MOST!? Rip City, like the rest of the NBA, underwent a uniform makeover with the transition from Adidas to Nike this past summer, and like the rest of the league, the team can say it vastly improved its look. As the season winds down, it’s finally time examine what’s most pertinent to the Blazers’ success. Not offensive or defensive rating, not the remaining schedule and certainly not trends among Western Conference competitors. This is about what the team can do to control its own fate, and as all of you superstitious fanatics know: Look good, feel good—feel good, play good*. *Grammar rules don’t apply to Deion Sanders. I must admit, these jerseys have grown on me. What once looked like nothing more than a tire track across road kill, the all-red uniforms have started to give me hope. When Portland debuted these unis on Nov. 30 against the Milwaukee Bucks, my 4K TV kept losing players the second they entered the bright red paint inside 15 feet. Even worse, the team dropped the contest, 103-91, after winning its previous three, including five of the last six. Immediately following the loss, Portland doubled down, losing three more at home against the likes of the New Orleans Pelicans, Washington Wizards and Houston Rockets. 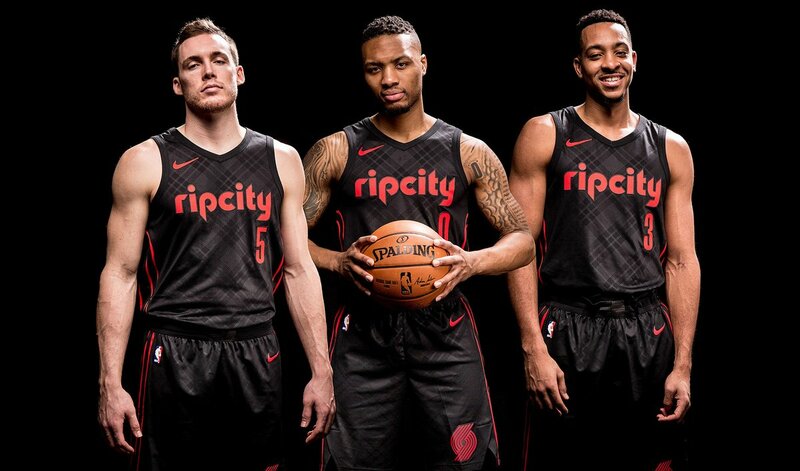 All that said, after an 0-5 start with these jerseys, the Blazers were granted a three-game winning streak (in these unis) from the Jersey Gods. The catch, of course, is that a 3-5 start has turned into nothing more than a 6-9 overall record. Put these bad boys to rest—at least until next season. Pretty cool, it was. So cool, in fact, the team adopted the style for its April 8 home contest against the Utah Jazz, and Lillard went for a career-high 59 points en route to a surprising 101-86 victory. This season, Portland has channeled its inner Jay-Z going all black everything by rocking the former go-to road jerseys 17 times—the second-most of any jersey currently in the Rip City closet. In fact, the squad has gone with this look in many of its home games—a stark difference from years past. The catch? The hype has been better than the outcome. So far this season, the Blazers are just 7-10 when they wear their Icon jerseys. That’s the third-worst winning percentage of any choice the team has at its disposal. Despite these numbers, expect to see the Icon jerseys on full display down the stretch and during the playoffs. If you’re superstitious, starting knocking on wood and counting lucky stars every chance you get. The plaid Rip City jerseys deserve more run. They’re fourth in total wins, but that’s because of the numbers game that puts them in dead last for total games worn. On the year, the City edition of the jerseys give Portland the second-highest winning percentage, which is good enough for .667 on the year. No, the sample size isn’t strong, but the winning percentage is. Give this jersey a shot, and give this team a chance if it’s rocking Dr. Jack’s plaid night in and night out. The Blazers’ white jerseys are literally named after the league, which makes perfect sense if we’re targeting good karma. On the year, Portland has worn its former home uniforms a total of 23 times, which is easily the most on the year. More importantly: The team’s winning percentage is especially impressive. So far in 2017-18, the Blazers have a .793 winning percentage when wearing the all-white jerseys, which if extrapolated over the course of the season, would put them ahead of the Houston Rockets for the best mark in the NBA. With six weeks left to go, the Blazers must have their eyes on playoff seeding. Beggers can’t be choosers—which is typically a Rip City mantra—but at the same time, a No. 3 seed is legitimately up for grabs. If Damian Lillard chills out and remembers he’s human, he and the squad will need some help as the year winds down. Nobody’s saying that wearing one jersey or another will have an actual impact on the team’s season…but nobody’s saying it WON’T, either.